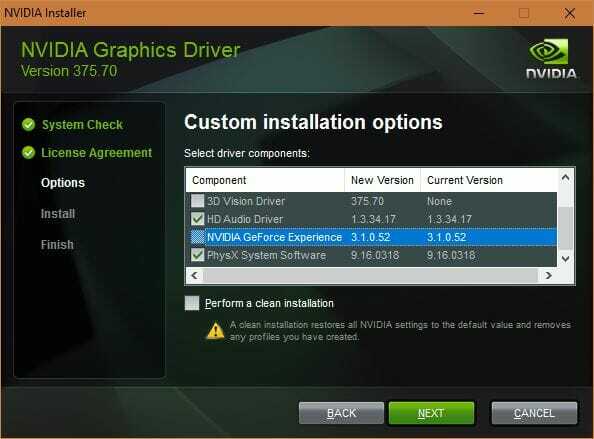 The latest Nvidia display driver comes with Telemetry enabled. This means that the driver collects information like the hardware, the number of programs running on your computer and your contact information. Take a look at the image above. It is a screenshot of Glasswire Firewall which lists all the applications sending and receiving data from where over the network. 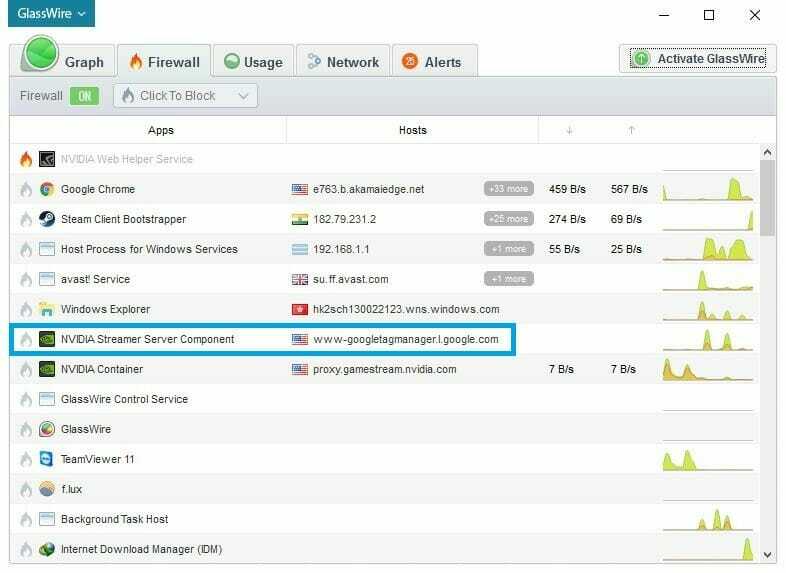 You can see that the Nvidia streamer server component is sending data to www-googletagmanager.l.google.com. That is a URL used by Google Analytics to collect data from users. When you use our Services, we may collect “Personal information,” which is any information that can be used to identify a particular individual which can include traditional identifiers such as name, address, e-mail address, telephone number and non-traditional identifiers such as unique device identifiers and Internet Protocol (IP) addresses. As you can see from the quoted text above, the Nvidia drivers collect identifiable information from your computer. Its good that they are transparent with this in their policy, however, things are a little worse. Nvidia is also going to share your information with their business partners and other associates. Thankfully, there is a way that you can disable Nvidia Telemetry on your computer. The main culprit for this data collection is the Geforce experience bundled with the driver. If you choose to not install it during the driver setup, the telemetry won’t work on your computer. 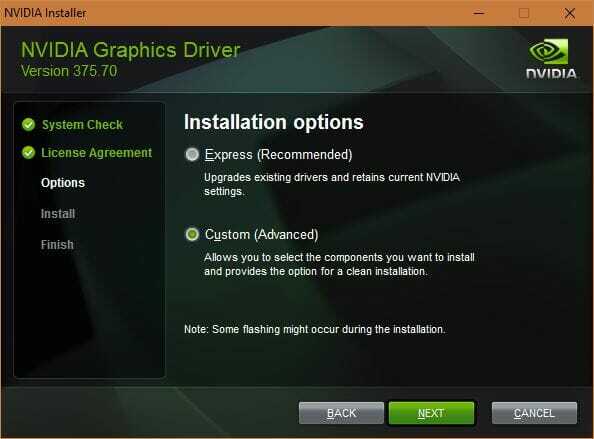 For that, you will need to download the latest drivers for your GPU from Nvidia’s website. Once downloaded, open the setup.exe file and Select Custom Installation during the setup. Click Next after that. 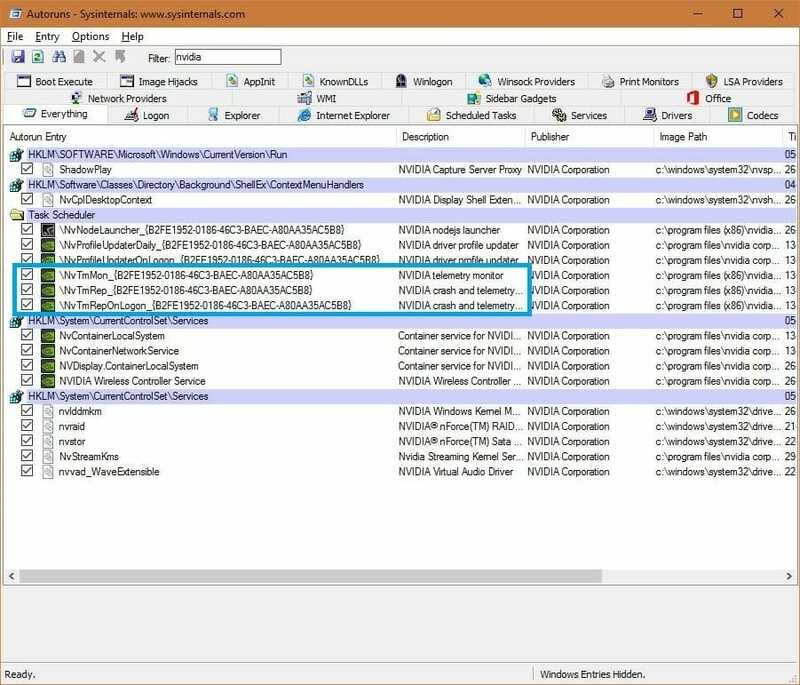 In the next screen, uncheck components like 3D Vision Controller Driver, 3D Vision Driver, and Geforce Experience. Click Next and proceed with the installation normally. Of course, unchecking the installation of Geforce experience will stop you from using its features like Game streaming, FPS overlay, and a few other things you might want to use. If you want to install the Geforce experience without the telemetry, there is a solution for you there as well. You can use a Windows utility called Autoruns for Windows. It is a portable program which can be used to monitor the automatic startup of programs and services in Windows. Using it, the telemetry service from Geforce experience can be disabled. Download the Autoruns for Windows and open it (as an administrator) Autoruns.exe or Autoruns64.exe depending on whether you are running 32-bit or 64-bit operating system respectively. Once on the app’s main screen, use the Filter to single out all of Nvidia’s processes running on your computer. For that, type Nvidia in the filter box. This will list all of Nvidia’s stuff that you have running currently. That includes the registry keys, processes, and scheduled tasks. Uncheck the three scheduled tasks that I have highlighted in the screenshot. That’s it. Restart your PC and the Nvidia drivers won’t be able to collect personally identifiable information about you anymore.